She took a shower last night! 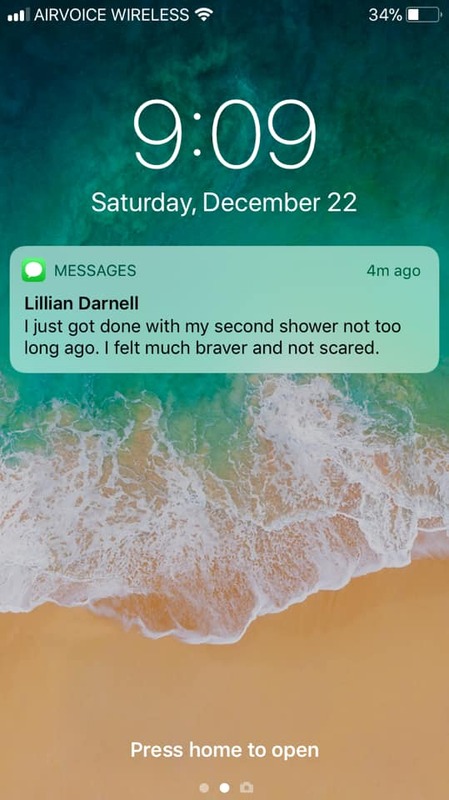 At 17 years old, she finally leaned into her worries and fears of taking a shower. Yes! A wonderful and new first for Lillian with a bit of help from grandma Patty! Thank goodness that in The Romano Duo’s new place, they’ve got one of those extra large walk in showers. Lots of room to stay away from the wrath of the shower head! HA! YAY Lillian! !